DESCRIPTION Beautiful private family home in the centre of Mount Royal, Calgary's premiere district, across from large park. This vintage home site is on a huge 70'W x 208'D, professionally landscaped lot with fabulous gardens and trees. Side driveway to double detached garage. Home is completely upgraded but keeping the original charm,very bright and sunny home with lots of windows (including Bay Windows)and skylights. A 3 floor ELEVATOR makes it easy to get from basement to 2nd floor. Kitchen counters are fabulous Ceasarstone with beautiful cabinetry. Master Bedroom is huge with tons of storage closets and an updated ensuite with marble countertops. Main Bathroom has Limestone flooring. There is a large storage/laundry room area with separate entrance. There are two working fireplaces to keep you warm. The entire floor plan is absolutely wonderful and highly functional. Home for sale at 2726 Montcalm CR Sw Calgary, Alberts T2T 3M6. 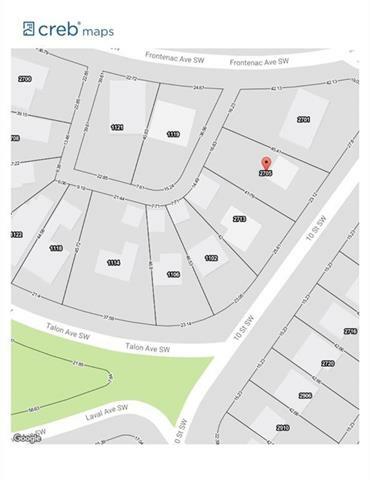 Description: The home at 2726 Montcalm CR Sw Calgary, Alberta T2T 3M6 with the MLS® Number C4239233 is currently listed at $2,785,000.